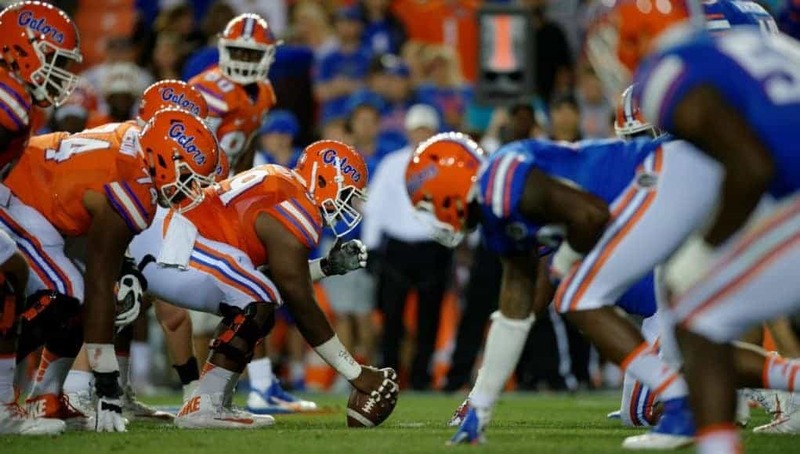 The Florida Gators will conclude spring camp and hole its annual Orange and Blue spring game on Saturday April 13th. The kickoff time and TV coverage have not been announced at this time. 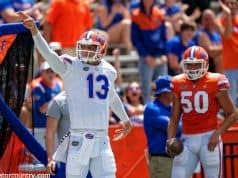 As they have done in the past the Gators will have a loaded sports weekend on tap for the spring game. The baseball team will be hosting South Carolina (4/11-4-13), Lacrosse will host ECU and the women’s tennis team will also be hosting South Carolina that weekend. 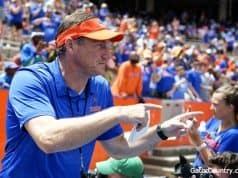 More details about the spring game will be announced when plans are finalized.